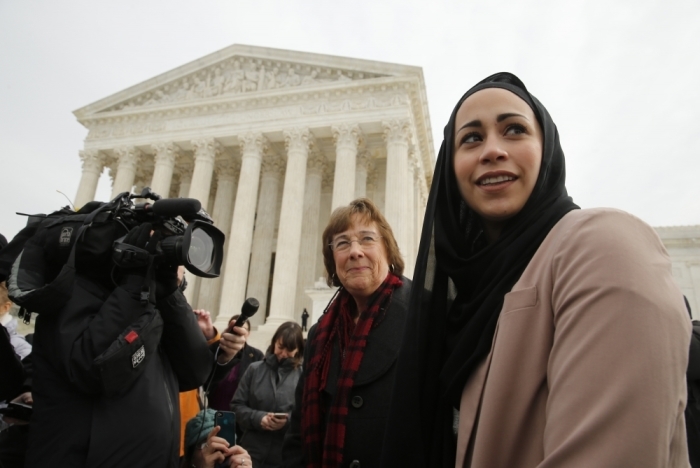 If Wednesday's oral arguments are an indication, Abercrombie & Fitch will likely lose in a Supreme Court religious freedom case involving a Muslim job applicant wearing a head scarf. The case, EEOC v. Abercrombie & Fitch, has united a wide range of groups concerned about the religious freedom implications in the case. Christian, gay rights, Jewish and Muslim groups have all filed "friend of the court" briefs on the side of the Muslim job applicant. In a Wednesday interview with The Christian Post, Eric Baxter of the Becket Fund for Religious Liberty, who was at the oral arguments, said he was optimistic that the court would rule against Abercrombie & Fitch. Samantha Elauf was 17 when she had a job interview with the clothing store chain in 2008. The interview was going well and the manager was ready to hire her. After checking with a senior manager, however, he told Elauf that he could not hire her because she was wearing a head scarf, garb often worn by Muslim women for religious purposes. Abercrombie has a strict dress code for its employees, which includes no head scarves and no black. Abercrombie & Fitch does not deny that Elauf was turned down for the job because of her head scarf. 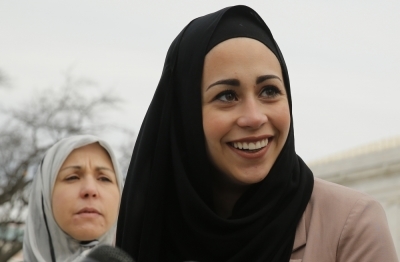 Instead, the company's lawyers argued that Elauf shouldn't be able to win a religious freedom complaint because she never expressly stated that she was wearing the head scarf for religious reasons. Baxter said that one of the most telling exchanges was between Justice Samuel Alito and the Abercrombie & Fitch lawyer. Would a Sikh man wearing a turban, a Jewish man wearing a yarmulke or a Catholic nun wearing a habit have to expressly state that they were wearing those garments for religious reasons? Alito asked, according to Baxter. The lawyer admitted they would not. "It's the same situation it seems to me," Baxter said. Another justice pointed out that the manager would only deny Elauf the position for wearing the head scarf if he assumed she would be wearing the head scarf to work, and he would only believe that she would wear the scarf daily if he understood that the wearing of the head scarf was for religious reasons. Nathan Diament of the Orthodox Union Advocacy Center was one of many Orthodox Jews defending Elauf. A coalition of several Orthodox Jewish groups filed a "friend of the court" brief on her behalf. In a Wednesday interview with CP, Diament said that Orthodox Jews believe it important to defend religious freedom for all religious groups. Orthodox Jews are also particularly sensitive to workplace religious freedom issues because of the faith's clothing requirements, such as the yarmulke for men, and scheduling issues, such as religious holidays. Diament was not at the oral arguments but spoke to some people who were. The impression they gathered was that at least six or seven justices were not sympathetic to Abercrombie's position. Baxter and Diament both reported that Justice Antonin Scalia, one of the most conservative justices, appeared to be the most sympathetic to Abercrombie's position in his questioning. Baxter noted that the case has some similarities with last month's Supreme Court opinion in Holt v. Hobbs. The court ruled unanimously, 9-0, that an Arkansas prison violated a Muslim inmate's religious freedom by not allowing him to grow a beard.